Lifeonics Limited, the developer of smart, in-situ analytical devices is pleased to announce the signing of a master distribution agreement with Bio Laboratories Pte Ltd., a leading distributor of scientific laboratory equipment and supplies for the medical, clinical diagnostics, life science research, food and pharmaceutical industries. Bio Laboratories will market and support the SMOD™ proprietary technology in the influential Singapore market and through their partners across Malaysia, Indonesia, Vietnam and the Philippines. 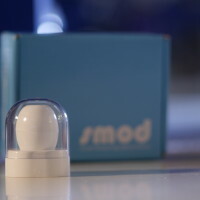 SMOD is a unique, miniaturized device for non-intervention monitoring of cell culture fermentation, ideally suited for laboratories growing cells in flasks. SMOD acquires optical density and temperature measurements within the flask, according to user-defined protocols and reports data via wireless communication to a lab-based PC. Data is also made available to mobile devices over local networks. Clive Seymour, CEO of Lifeonics comments, “To have Bio Laboratories as our partner in Singapore and parts of ASEAN, ensures that our novel SMOD technology will be marketed and available to a wide range of customer groups in the region. Bio Laboratories, having recently celebrated their 20th Aniversary, is a well established and respected supplier, with particular experience in cell culture, offering a great opportunity for us to see a rapid acceptance of our products”. Mr Benny Wee, Managing Director of Bio Laboratories comments, “We take great pride in supplying our customers with new products and solutions to delivers benefits in terms of scientific discovery and productivity. The novel and innovative SMOD technology offers a much smarter approach to the current time consuming and often inaccurate method for the crucial cell culture monitoring process. We look forward to introducing SMOD in Singapore and across ASEAN”.